By obtaining a Variable Products (Variable life and Annuities) license, in addition to other required insurance and securities licenses (state, FINRA and/or NASAA), an insurance professional is authorized to evaluate a client's needs, determine suitability, and recommend variable insurance and annuity contracts when appropriate. Variable products are regulated by both the insurance and securities industry and funded through a separate account that is invested in nonguaranteed vehicles at the option of the insured. A licensed and registered variable products representative must possess knowledge of the advantages, disadvantages, risks, and benefits of these products. To become licensed as a variable products producer, your state may require you to pass the life insurance exam and an additional state licensing exam. This course will deliver the content needed to successfully complete the education and examination requirements. General insurance concepts, insurance contract terminology, characteristics of variable life, a comparison of fixed and variable life insurance policies, characteristics of variable annuities, a comparison of fixed and variable annuities, and separate accounts. This course also includes state-specific regulations based on the state where you are applying for a license. "The platform is easy to use. " "My experience using A.D. Banker was great. The platform is easy to use. 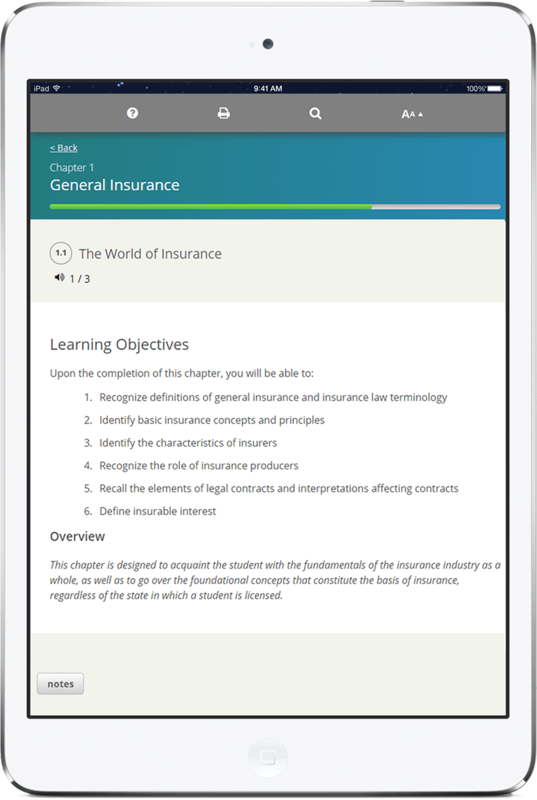 I love having the freedom to repeat videos, review modules, and practice at my own convenience."